We are proud to release the Holy Bible in Tagalog for Android users, completely free! This app is simply designed to make it available online and offline. Once downloaded, you do not need an Internet connection to use it. 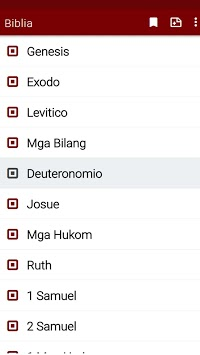 Our app contains the complete Ang Dating Biblia (ADB) containing the Old and the New Testament. 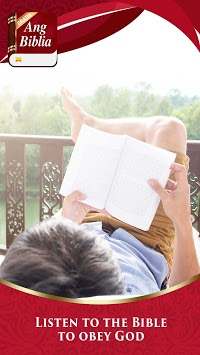 Enjoy freely this excellent version of the Bible translated into Tagalog or Filipino, the language spoken by the majority of the population of Philippines. The Philippines has one of the largest Christian population in the Earth, with 90% of the population being adherents of the Christian faith. Catholicism dominates the Christian religion with 80 % of the population. Filipinos can now read or listen to the Holy Bible in their own language! If for any reason, you are unable to read the Bible, this is an audio version: you can listen to the complete Bible on your phone! The Holy Bible translated into Tagalog! Get yours now! The Bible is divided into two parts: The Old and the New Testament. 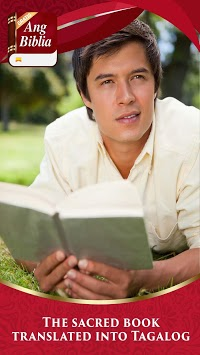 The original languages of the Bible are Hebrew, Aramaic, and Greek. The Old Testament was mostly written in Hebrew and some passages in Aramaic. Genesis, Exodus, Leviticus, Numbers, Deuteronomy, Joshua, Judges, Ruth, 1 Samuel, 2 Samuel, 1 Kings, 2 Kings, 1 Chronicles, 2 Chronicles, Ezra, Nehemiah, Esther, Job, Psalms, Proverbs, Ecclesiastes, Song of Solomon, Isaiah, Jeremiah, Lamentations, Ezekiel, Daniel, Hosea, Joel, Amos, Obadiah, Jonah, Micah, Nahum, Habakkuk, Zephaniah, Haggai, Zechariah, Malachi.